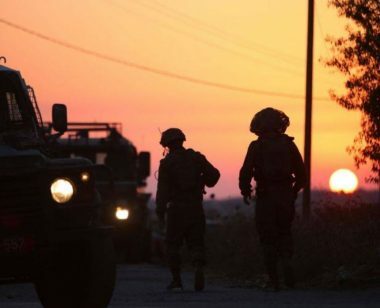 The Palestinian Prisoners’ Society (PPS) has reported that Israeli soldiers abducted, on Monday at dawn, ten Palestinians from several governorates of the occupied West Bank. The soldiers invaded and violently searched dozens of homes, interrogated many Palestinians while inspecting their ID cards, and abducted at least ten. One of the Palestinians, Khaled Fawwaz Salah, 27, from the al-Khader town, south of Bethlehem, was preparing for his wedding, scheduled for this coming Thursday.